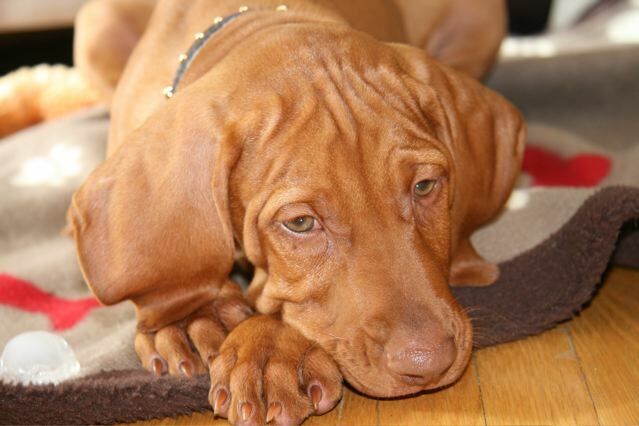 JBean Cuisine readers, please meet Hudson, our adorable 10 week old Vizsla who is currently about 12lbs and is adorably wrinkly. He’s loving, loyal, adventurous and we love him more with each day. He is totally food-driven, so don’t be surprised if you see doggie treats posted from time to time. Also, please excuse the lack of posting…this dog is a full-time job for both of us and there hasn’t been much cooking in the kitchen as of late. 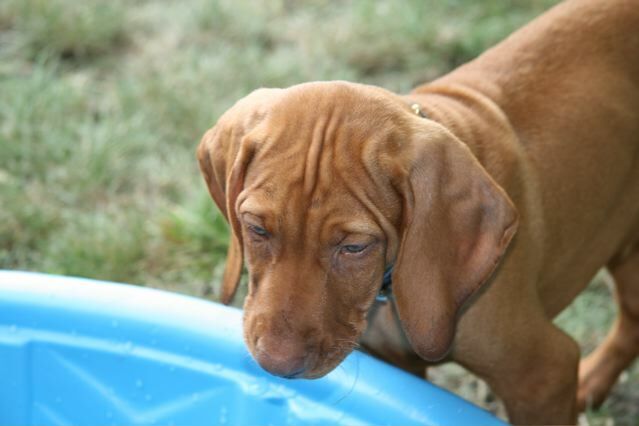 Please leave a note below if you have any doggie-friendly recipes, or if you have any puppy tips! Thank you :)! He is definitely cute, lots of work and trouble, but cute! What a cutie! I want to come meet him. Oh my goodness, that face!!! I just love all that extra puppy skin. Lots of room to grow! I’m sure he’ll be a great kitchen pal!